The final blogvember piece herald the beginning of the end of the year. Bring on the parties, the glasses of fizz, the gin and tonics. 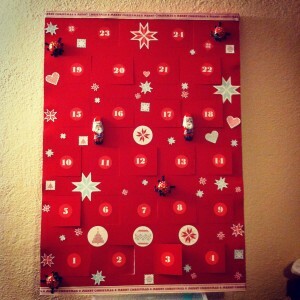 New traditions I am forging like a tree from 1 December, and homemade advent calendar give me joy and I hope can bring back the pleasures of the season that are sometimes jettisoned for style over substance. Today we bought all the dried fruit and mixed peel and cinnamon sticks we need from the markets. We bought vermouth and brandy, bitters and more. 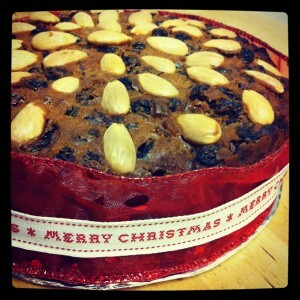 All the base ingredients for mince tarts, fruit cake, puddings and delicious drinks. Here’s cheers to that! The next few weeks are a whirlwind. I am going to try to focus on the enjoyment of the little simple pleasures. The joy of champagne popping, the tinkling lights, the smiles of people I love. I will try to not get too hot and bothered. We will have cold lunch and pudding at 10 o’clock at night when it’s cool enough. I am looking forward particularly to trifle. 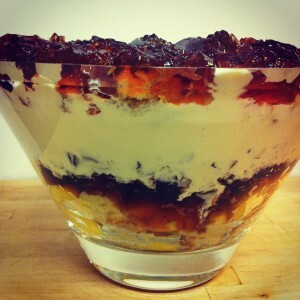 I love trifle more than almost all the other christmasy treat combined. You’ll find me on Boxing Day morning with a spoon and my head inside the fridge. Let’s deck the halls and make the yuletide gay. Now all I want to do is count down. Christmas in T – minus 25 days. It’s coming around quickly, Stella! I am going to try to keep better records of the recipes I make this year. It isn’t possible any more to remember which ones are the best after 12 months.